$1 Clothes Clearance at Walmart!! 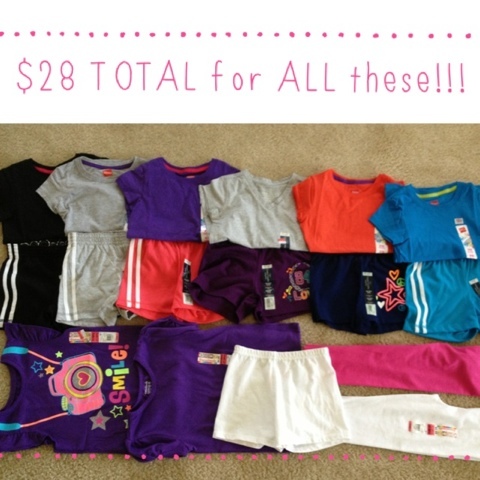 $28 for 17 shirts, shorts and leggings at Walmart!! They are clearanced for $1, $1.50 and $2 each!! Brands included are Garanimals and Faded Glory. *Note: Your store may vary.